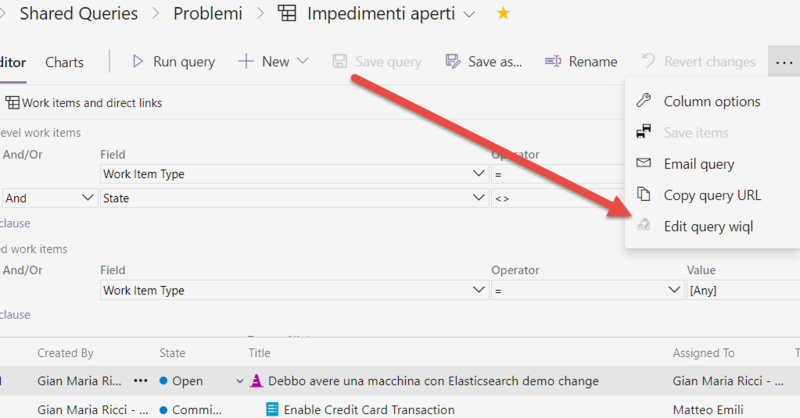 It was a long time ago I blogged on how to publish a click-once application from a VSTS Build to Azure Blob, long time was passed, and lots of stuff changed. The whole process is now simpler, thanks to many dedicated tasks that avoid doing any manual work. 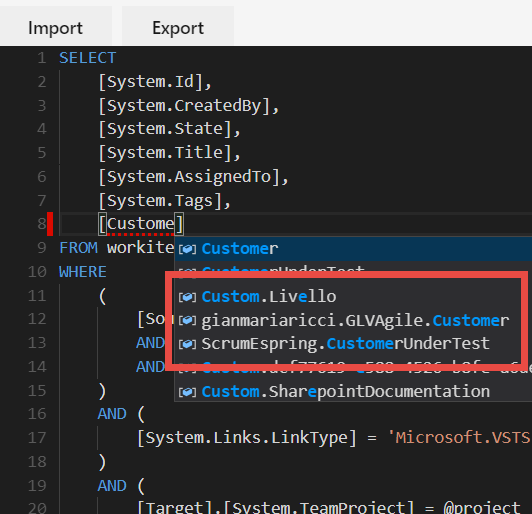 My new build always start with a GitVersion custom tasks, that populates some environment variables with version numbers generated by GitVersion, this will allow me to simply add an MsBuild task in the build to publish click-once using automatic GitVersion versioning. 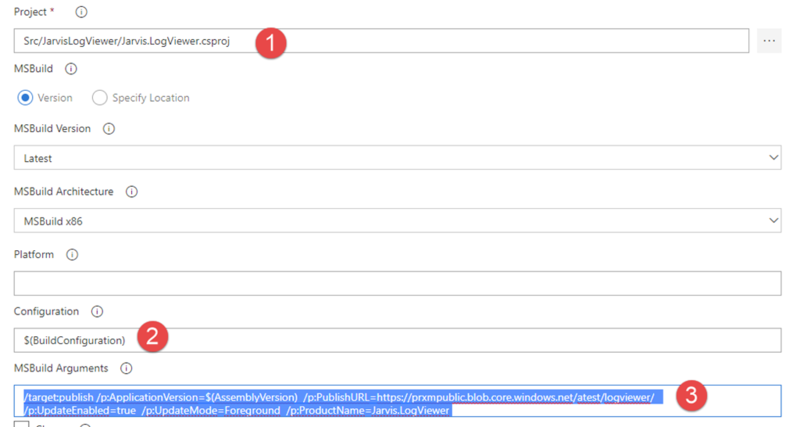 ApplicationVersion is set to variable $(AssemblyVersion) that was populated by GitVersion task, publish Url is a simple address of an azure blob storage, that contains a blob container called atest, with a folder named logviewer that has public read access. This will allows me to have a simple public blob, with a public address, that everyone can read, so everyone can download my application. Azure blob can be given a public read access to everyone, making your click-once application available to everyone. MsBuild task simply creates a app.publish subfolder that contains all the files that needs to be copied into the blob azure storage, the first step is a Copy file Task to copy them in the artifacts directory, as for the following picture. Figure 3: All files of click-once publishing were copied in the artifacts staging directory. Now everything is ready, just add a final task of type Azure File Copy and configure to copy everything from artifacts directory to the right subfolder of azure blob. Figure 4: Configuration of Azure Blob File to deploy click-once generated files. 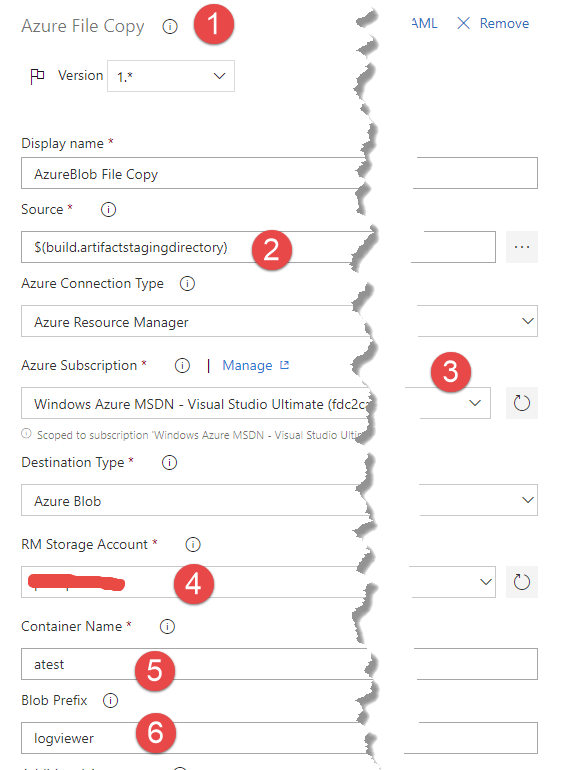 Configuration is really simple, because thanks to a direct connection to Azure Subscription (3) we can simply connect Azure Dev Ops to an azure subscription so we can simply select storage account (4) blob name (5) and subfolder of the blob (6). 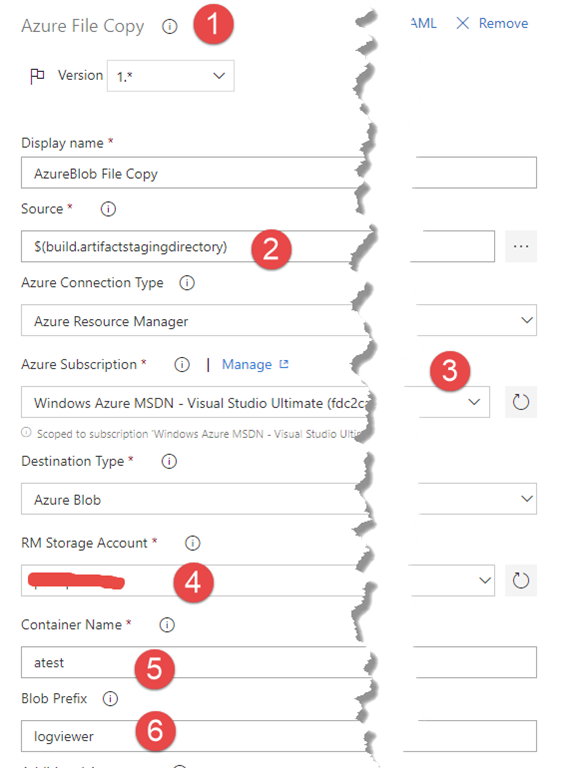 One of the advantage of the dedicated Azure File Copy Task, is that it can simply use one of the Azure account linked to the Azure DevOps account, making super-simple to choose right blob where to upload click-once package. 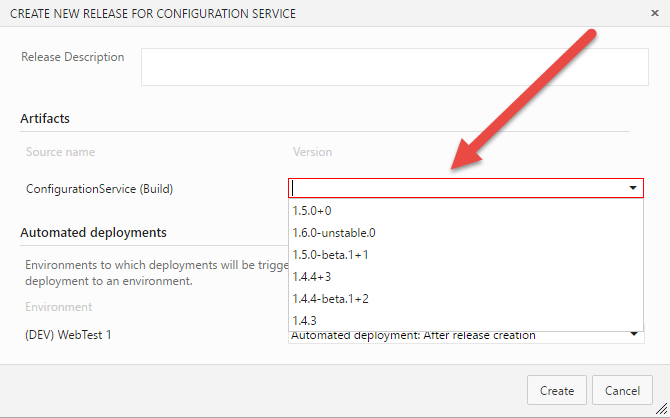 Once you’ve finished configuration, you can simply run a build and your application will be automatically published. Figure 5: Summary of the build with click once publishing. Now you can simply point to the setup.exe file with the address of the blob and the game is done. This is the end of the journey of the last serie of posts. 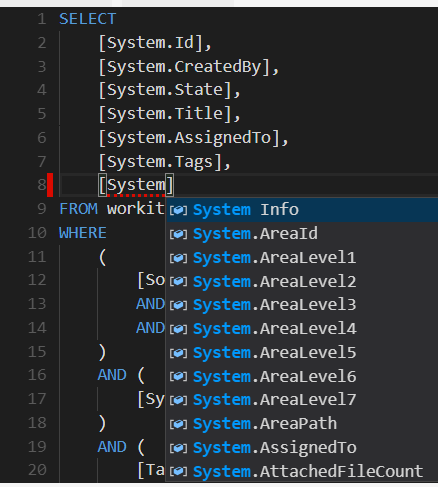 I’m now at the situation where I have a build that produces a single zip file with everything I need to deploy the software and a bunch of PowerShell scripts that relase the software using that zip as a source artifact. Now it is time to automate the process with Release Management. I want to use RM because the process is automated on a chain of environments, but also I have traceability, auditing, and verification of the release procedures. 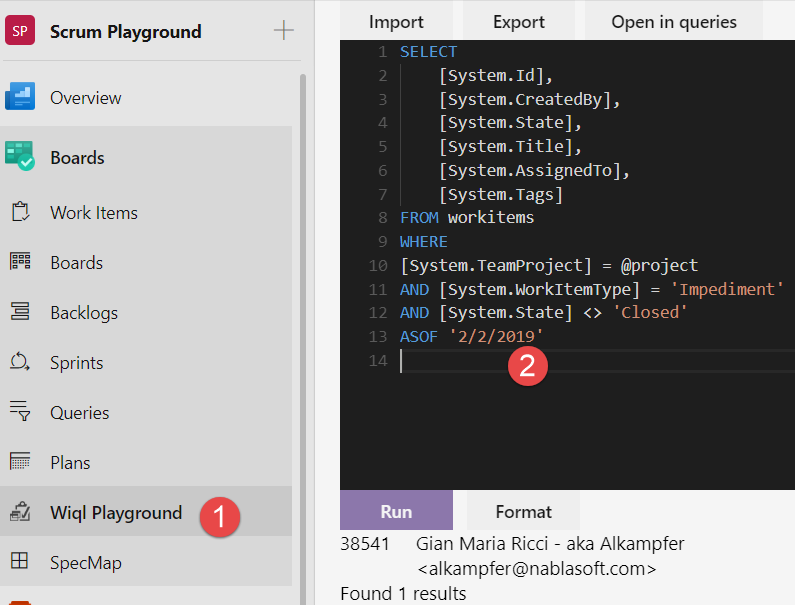 I’m not going to cover all the steps needed to create the a release definition, I want to focus on how simple is creating a Release Process when you adopt Zip+PowerShell approach. I strongly suggest to have a look at official site if you never heard of VSTS / TFS Release Management. 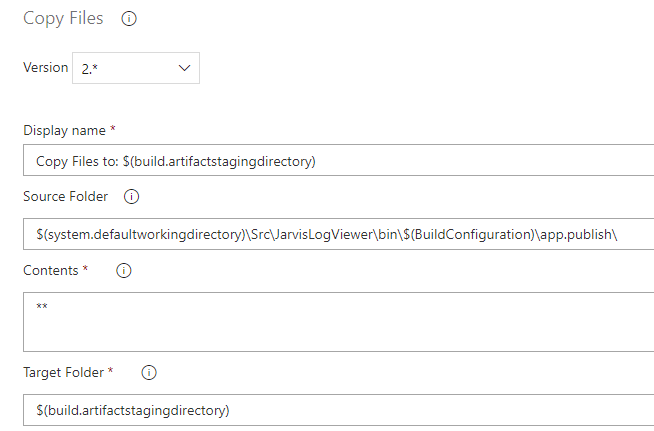 Let’s start creating a first release, the most important aspect is adding a build as Artifacts source, this allows the release to consume what is produced by the build. 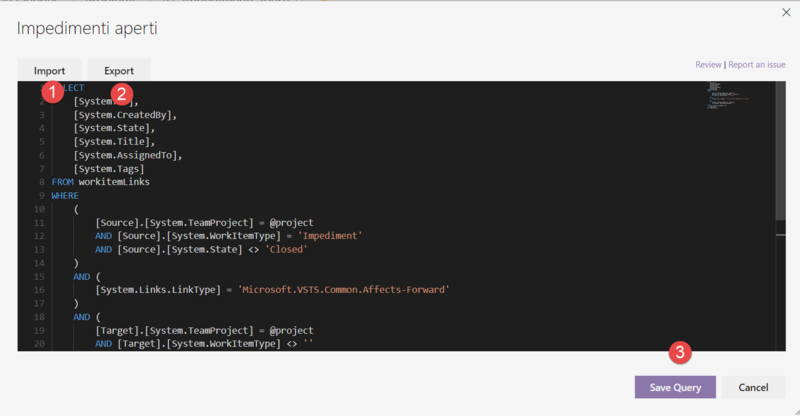 This build produces a couple of artifacts, the zipped file with everything and the set of PowerShell scripts needed to run the software (as I suggested they should always be stored in source control and moved as build artifacts). Thus the release process is really simple and is composed by only three steps. First two steps are used to copy zip file and installation scripts in a folder of the target machine (c:\deploy\jarvis\…). 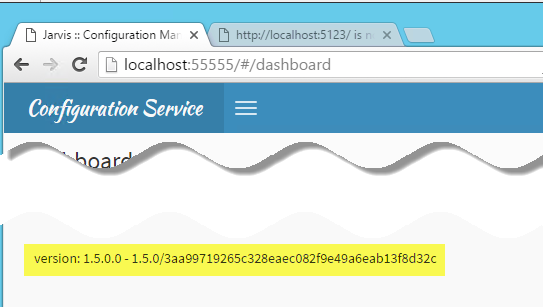 as you can see I’m using local administrator user, so this technique can be used even if the machine is not in the domain. You should now run this script on the machine where the agent is running. This instruction should be run to the machine where the build agent is running, and specify that the target machine is a Trusted Hosts. If you are using domain credentials, this is not needed. The password is stored inside a Release variable, to use secret variable feature, so noone that can edit this release can see the password in clear text. Final step in Figure 2 is using the task to run the installation script in a remote machine machine. If you already tested the script manually, there is no reason why it should fail in RM process. Remember that you should never use command that interact with the shell, and you should use Write-Output instead of Write-Host in your PowerShell script to be sure that no shell is used. 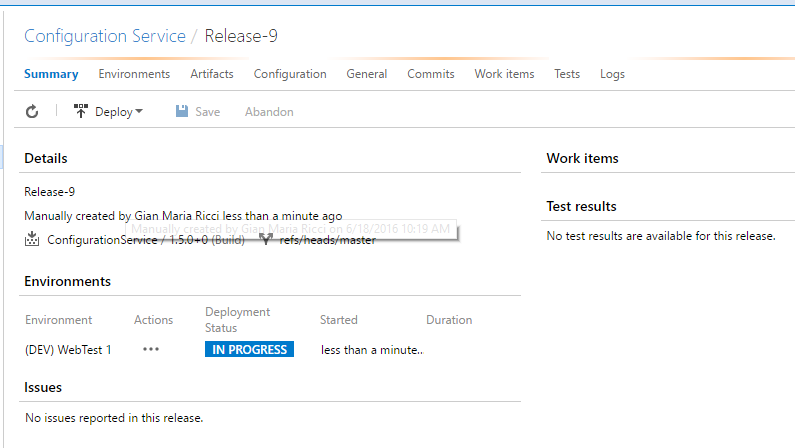 Now you can trigger a new release, or have each build trigger a new release on the dev machine. 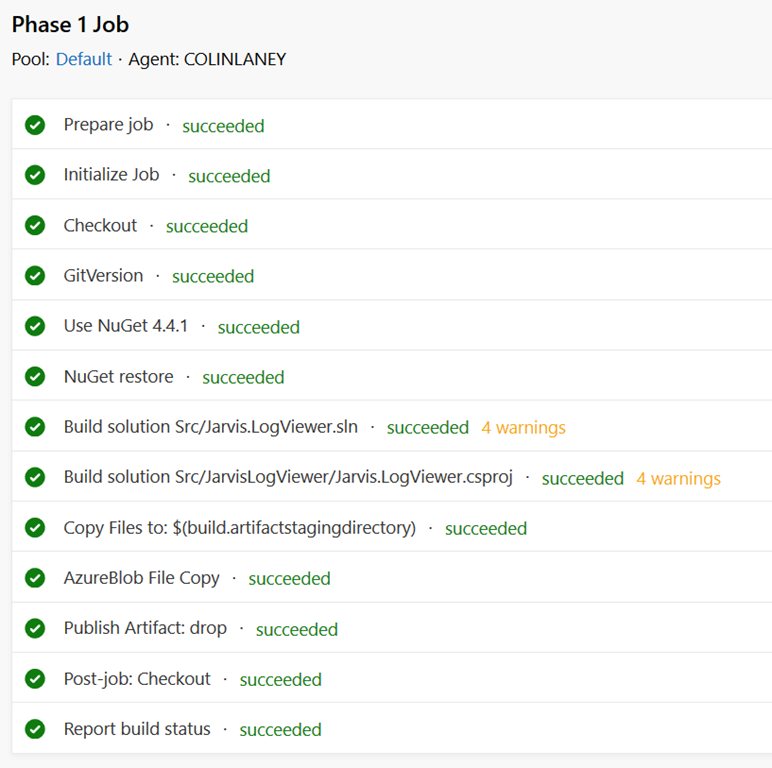 The really interesting aspect is, using GitVersion and GitFlow, when you select the build you want to release, you can choose the branch you want to deploy instead of understanding what is in a build from its number. Once the release is in progress, from the summary you can verify what version of the software is released in what environment. I have only one environment for this demo, and I can verify that 4 minutes ago the version 1.5.0 is deployed in that environment. I can now verify that the new version was really deployed correctly opening the software in target machine. Once you have everything in place and use simple PowerShell approach, setting up a release management process is really straightforward.